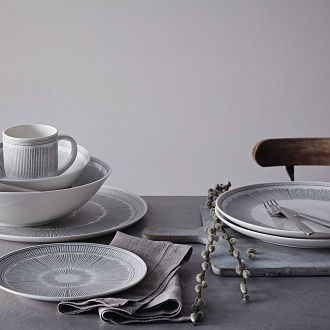 The ED Ellen DeGeneres Crafted by Royal Doulton collection Charcoal Grey Lines tableware reflects the natural and hand crafted design inspirations behind the range. 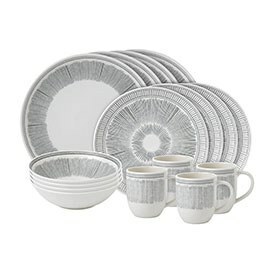 The white ceramic features a unique feathered design and two different border motifs drawing on elements of nature with an organic timeless feel. 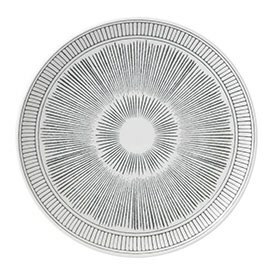 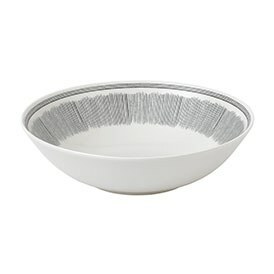 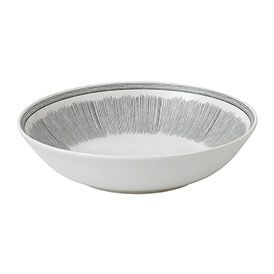 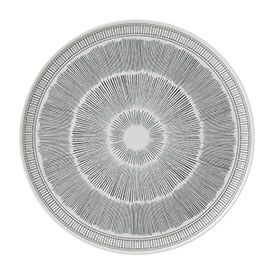 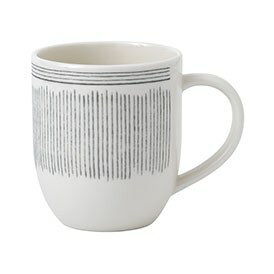 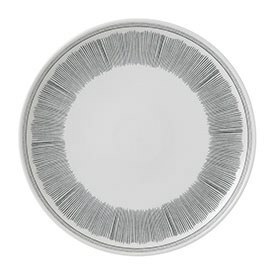 Ellen’s Love signature appears in red on the underside the rim of each plate adding a subtle charm and delight. Dishwasher and microwave safe, this range can effortlessly mix and match with other elements in the collection to create an individual look for casual dining and fun moments at home.